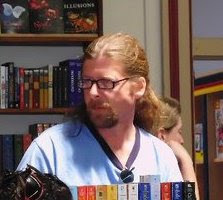 Jenny Turner (aka J.R. Turner) is a fellow author who has written many books of various genres, from young adult novels to adventure fantasy and seemingly everything in between. She is also the primary editor at Quake Publishing, the young adult imprint of Echelon Press, and edited this writer's first two novels. People who wear more than one professional hat are always interesting, and she was nice enough to share her thoughts on her own writing, editing the work of others and the publishing business in general. 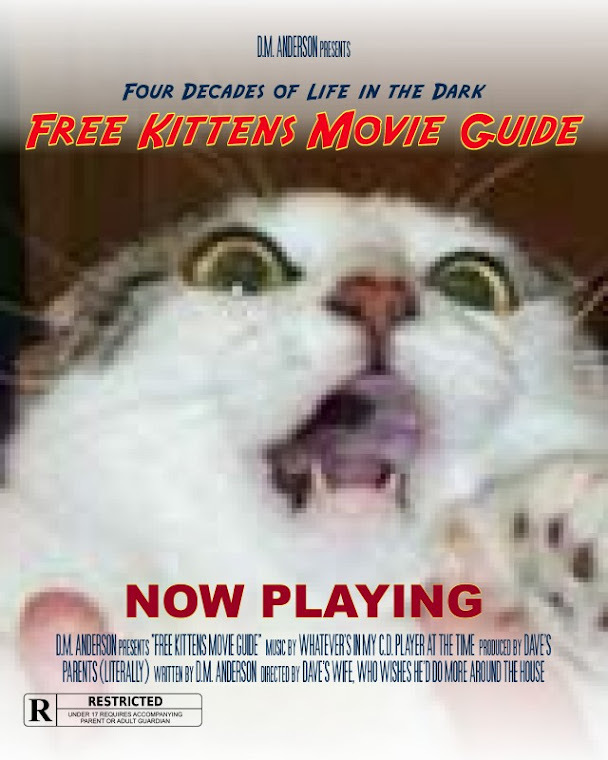 Thanks for taking the time for an interview at Free Kittens. If you don’t mind, I’ll start with the dumb questions, such as, do you remember what first inspired you to become a writer? Was it another author, a particular book, or something else entirely? Julie Garwood inspired me. Well, truthfully, she ruined me. I remember when For the Roses came out. I couldn’t hardly wait for the release because I’d devoured all her books more than once. On release day, I was there with money for a hard cover. Yes. I bought my first full-price hard cover—which was about half my weekly grocery budget at the time. I devoured it just as quickly—in one single day. They say you can’t judge a book by its cover and that’s exactly what happened over the course of that long, long year waiting for another book from Garwood. I chose one bad book after another. I decided I’d rather spend my time writing the book I wanted to read, instead of reading a terrible book. I know I’ll never forget getting that first acceptance letter for a story. What was your first publishing credit? I had an essay published in a charity anthology with proceeds going to an abused women’s shelter. The book was Crumbs in the Keyboard and I wrote about the craziness of motherhood. You’ve written and published stories in a variety of genres. Any particular genre you enjoy more than others? 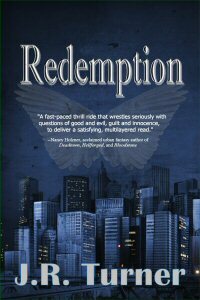 I usually really love the book I’ve just completed or had released so I’m not sure if it’s because this book really is special, but Redemption, my urban fantasy novel, has made me fall deeply in love with the genre. A reader recently compared the ending to The Stand and I was walking on cloud nine. 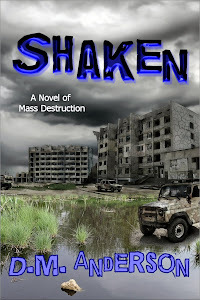 I loved the post-apocalyptic element—the struggle for survival against evil. All of it was just a blast. Your most recent young adult novels are the three (so far) in your Extreme Hauntings series. How would you describe these books to those who are curious? Kaylee, the heroine, is such a superb character to work with. These books led me toward the more paranormal/supernatural aspects of writing. After having such a fabulous time working with ghosts, demons, and monsters, I wondered why I waited so long. The quest for internal understanding when the whole world has gone wacko, and everyone thinks Kaylee’s gone wacko, is a really cool dichotomy to work with. 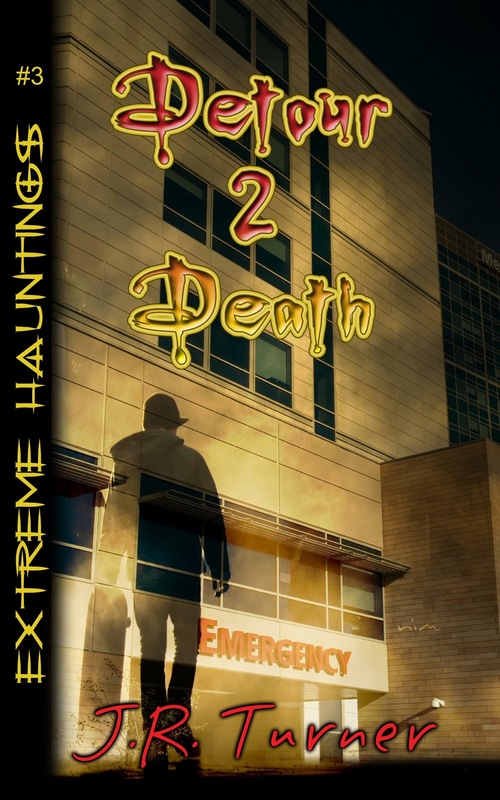 Did you always intend Extreme Hauntings to be a series, or did you start off thinking the first would just be a stand-alone novel? I had been invited to write a YA series for Quake, so I knew in the beginning there would be six books total. I’ve been fleshing out the concepts and outline for the fourth book. This one takes place in a boot camp for teens. Kaylee and Davey are convicted of arson and assault, and the courts are not happy with them considering the legal trouble they’ve faced in the past. I’m looking forward to seeing how the authority figures in this book handle what happens when the supernatural entities begin to make themselves known. What are some of the challenges in writing young adult horror, a genre where it can be easy to cross the line between what‘s acceptable and unacceptable for kids? My biggest concern is making sure the horror feels real to the reader. I don’t rely on the gross or the morbid to make them squirm. These are ghost stories and I really want to convey that spookiness, that terrifying moment when those eyes you feel on you in an empty room prove to belong to an unknown, unseen entity. That’s not an easy task, but it’s one I hope I accomplished. What is the one book you’ve published you are the most proud of? Why? Gosh, this is so hard. Every book is different and every book has reasons to be my favorite. I’m proud of My Biker Bodyguard because it was based on my family and it won awards. I’m proud of DFF: Dead Friends Forever because it was my first YA book, my first published horror novel, and the first one I wrote for my kids. I could go on and on! 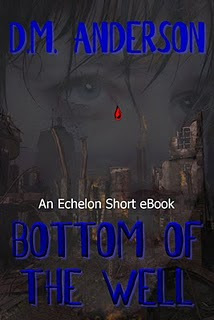 You are also one of the editors Quake Publishing, Echelon Press’ YA imprint, which I’m assuming takes a lot of time. How do you manage to find time for your own projects when you aren’t busy editing the work of others? I love editing and fortunately, Quake has a lot of really great authors who make my job easy! Mostly I have the time because I’m one of the lucky few who doesn’t have to have a day job. Because of this and a passion for the work, I’m able to accomplish many things. I rarely take a day off, not even weekends, because when I wake up in the morning, I’m eager to get to my computer and work on my current project. Vacations can be tough on me because half my brain is working on a novel or seeking solutions for an editing project. As an editor, what do you look for when considering a manuscript submission? What makes a good young adult novel? A strong style and voice will conquer almost any initial plot or character difficulties. I’ve avoided manuscripts where the author proved to be difficult or too emotionally invested in the current draft. I respect an author’s ownership of the work, but I also respect our in-house style-guide and if the two can’t meet—then we’re both out of luck. The best books in the YA genre go where they need to go and not shy away from plot points one might feel are offensive. Any subject matter can be handled delicately. Young adult fiction is currently a huge market, with a glut of authors jumping on the Stephanie Meyer or J.K. Rawling bandwagon. Is there a type of YA novel you’d like to see more of besides wizards and vampires? I’m open to anything as long as it oozes imagination, passion, and admirable writing. What advice would you give to would-be authors in terms of writing and submitting? Don’t submit too early! Great ideas and great books can be lost because authors are unaware the book still needs a good solid editing. Don’t expect editors to do it for you. I’d rather work on a stellar novel with solid writing than a potentially extraordinary novel that’s in dire need of a second pair of eyes. As we both know, having one’s work accepted is just the beginning of a long process, especially in terms of promotion. What are some of the most effective ways you use to get word out about your books? Social media and face-to-face contact. Those two can work wonders and create a lot of buzz for a person. I think there are two ways these ventures can fail, however: interacting only with people you know and lack of follow-through. Don’t cancel your book signings, don’t ignore your blog and other accounts. Just because you have them, doesn’t mean they will be any good unless you work at them! I just recently bought a Kindle and I love it. I’ve been able to buy books by my favorite authors at a fraction of the price, and I’m more willing to take a chance on new authors. However, I’ve also noticed that the current explosion of e-books has resulted in a lot of stuff out there that may not have ever seen the light of day through traditional publishing. What’s your take on the impact of e-publishing on both writers and the publishing industry? I think it’s fantastic. Anything that puts the control and profits into the hands of the people who do the work is awesome. With the way e-books are taking off, I think we’ll begin seeing a lot more first-time authors build a following and gain recognition where they may have been unable to breakthrough in the past. Finally, where are the best places to find your books, as well as places where readers can learn more about you? All my books are available at Amazon.com and on Smashwords. Thank you so much for this opportunity to share with your readers! Free Kittens would like to thank Jenny for sharing her time.